Last lunchtime at Maguro-Ichi for the time being. Though Maguro-ichi quit doing their business at lunchtime now, I went to eat last lunch the other day. 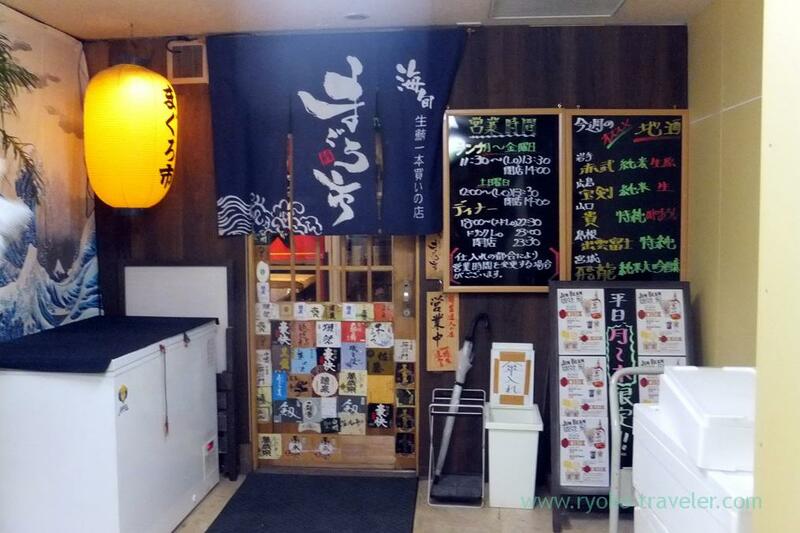 My first visit to Maguro-ichi was in 2012. Maguro-ichi was one of the most favorite lunch spot for me. Then I visited there for several times and I posted about this shop on my blog. 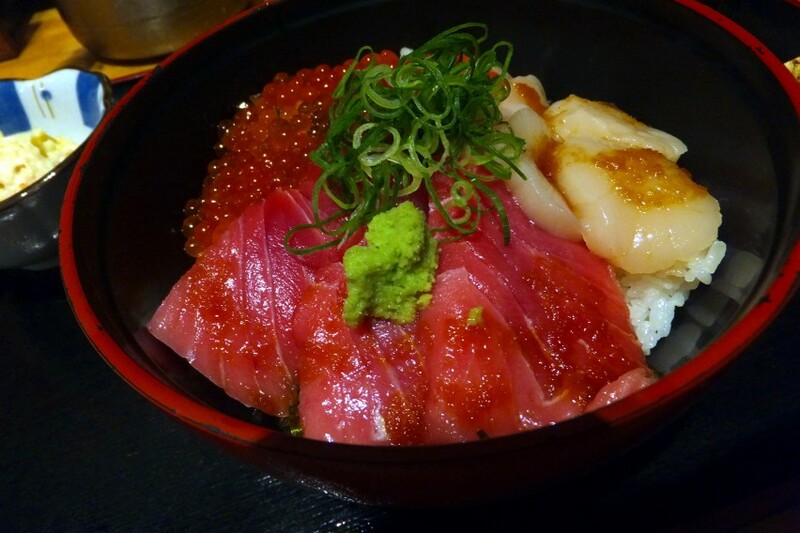 We could have sashimi bowl at lunchtime from 900 yen. But I always ate luxury sashimi bowl. 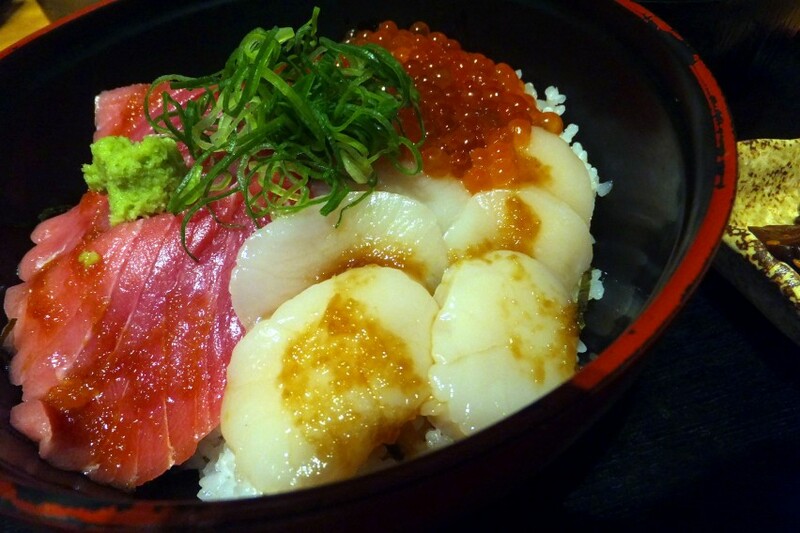 This is superior three seafood sashimi bowl (上三色丼, 1500 yen). Chu-toro, scallop and salmon roe. My last lunch at Maguro-ichi was great as ever. I miss their sashimi bowl ! I wish they will be open at lunchtime again someday.